Your inner child will rejoice after biting into one of these Rugrats Reptar Bars. 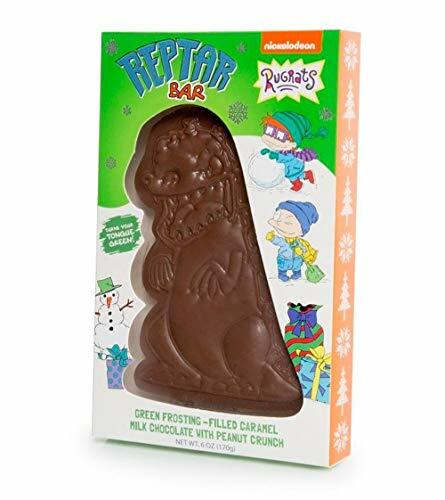 This incredible reptar candy bar is a mild chocolate bar with a peanut crunch exterior filled with caramel frosting. To make it even better, it turns your tongue green!